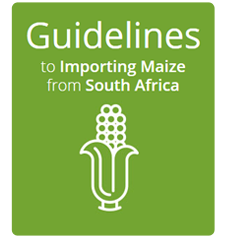 Specific guidelines to imported maize from South Africa have been compiled for first-time buyers of South African maize. Grain silos in South Africa that wish to export grain must comply with standards and processes that are in line with international food safety legislation. Firstly, they need to register as a Food Business Operator (FBO) with the national Department of Agriculture, Forestry and Fisheries. 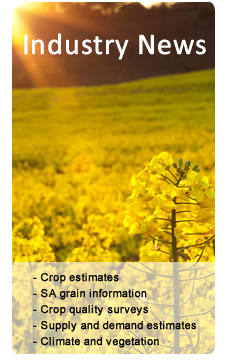 This requires the compliance with international standards for the export of grain. According to the food safety legislation of 2005, all food producers that do business in the food chain must comply with the minimum food safety standards. These standards and regulations require that food products are handled under hygienic conditions, applying good handling and farming practices, through all stages of the supply chain. Food safety audits are conducted by the Perishable Products Export Control Board (PPECB) to evaluate the processes and the keeping of documentation on silo level. A silo that is successfully evaluated is awarded a certificate of compliance. The HACCP (Hazard Analysis and Critical Control Points) guidelines that silos are evaluated on are: Intake control and storage, water supply and the location of the storage facility, hygiene and safety, fumigation chemicals, maintenance and sanitation, control of operation, training and dispatch control. The general standard of a FBO-registered silo reflects the best practice in the grain silo industry. Such silos are definitely the leaders concerning eligibility for export. The biggest advantage is that the local buyer’s product complies with the same high international standards.